BETTER THAN NEW! 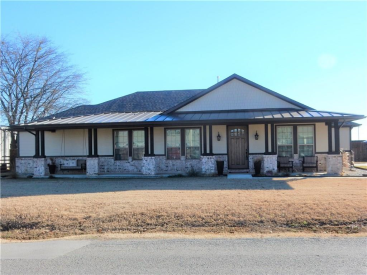 You'll buy this home just for the Master Bed & Bath, not to mention the great open living area with hand scraped wood floors, or the cov'd back patio, hot tub & fire pit. This custom home was lovingly designed by owners who have been transferred - their loss is your gain. Other high-end features include 8' wood front door, antique barn door, huge walk-in shower, custom designed closet with chandelier & vanity, large island with breakfast bar, granite, beautiful lighting throughout, huge cov'd front porch, separate area for boat or RV, 8' wood fence on back line, and did I mention a Master Bed & Bath to die for?! This one is IMMACULATE & MOVE-IN READY!